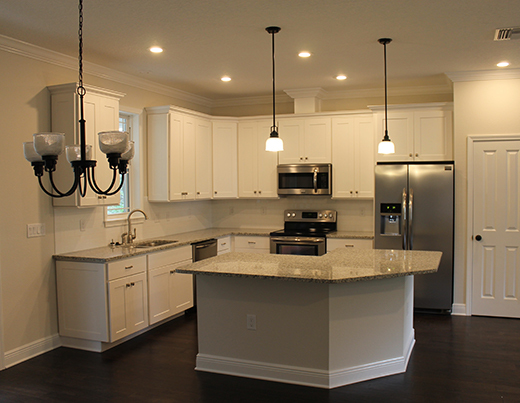 Ressel Construction has been building high-caliber custom homes throughout West Central Florida’s Citrus, Hernando, Pasco and Sumter Counties since 1983. Our years of industry experience, combined and unparalleled quality standards, has enabled us to build a solid reputation as one of the best custom home builders in the area. Building from the ground up gives you the opportunity to incorporate your own styles and ideas into a living space that’s absolutely tailored to you. But choosing to build means selecting qualified, experienced custom home builders in Brooksville, FL—experts who can bring your vision to life. At Ressel Construction, we strive to do just that! From the size and style of your ideal home, right down to your front door, and your bathroom dream come true. We’re dedicated to building you the home of your dreams. With proven, quality craftsmanship and keen attention to detail, we’re the home builder area residents trust when it comes time to bringing your home vision to life. Ressel Construction works on every facet of custom homes in Brooksville, FL, from the planning, to the development and building, straight through to the finished product. Our start-to-finish capabilities ensure we’re the ones working on your home, and that you always have an open line of communication as the process is underway. But, before any building starts, we pride ourselves in getting to know our customers and earning their trust. Our goal is to build you an immaculate house, and that starts with fully understanding your needs and wants. We make sure your ideas are incorporated into every phase of the project. Our finished homes speak for themselves and we have a long list of homeowners who absolutely love the homes we’ve built! We invite you to contact us today for a consultation and we’re sure you’ll quickly see why our name is near the top for custom home builders in Brooksville, FL. 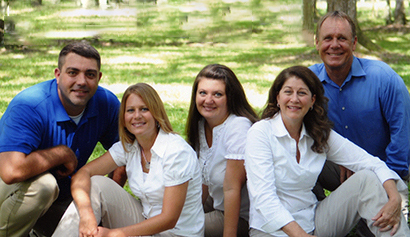 Our company is family-owned and operated. We understand how much your home means to you, and we strive to be your trusted partner in every step of development. With 40 years of industry experience in building homes, we’re aptly qualified for any project, from the foundation to the finishing touches. We’re happy to build homes of all sizes! We lend insight and expertise to planning for your home. We pride ourselves on integrity and craftsmanship above all else. You can rest assured we’ll never compromise on the level of excellence that goes into building your home. Our goal at Ressel Construction is to apply quality craftsmanship to your vision. Jim Ressel has been building homes since 1983. The foundation for Jim’s pursuit in contracting began in 1969 as a carpenter apprentice for a prestigious Hernando County Fl. builder. Ressel Construction’s high standard for quality resonates in the craftsmanship of their trusted subcontractors. Together, they create breathtaking custom homes with integrity and solid reliability for even the most discriminating homeowner. Jim has a highly trained eye for fine detail and quality. The results of his master craftsmanship can be found in every home built by Ressel Construction. Ressel Construction is dedicated to personally working with clients before, during, and after the construction of their home. Integrated into every phase of each project is the client’s vision for their home and it is the mission of the company to fulfill that vision. From the color and texture of the walls to the customized flooring and cabinets, Ressel Construction aims to provide for all your needs and create a living space that accommodates and enhances every facet of your lifestyle. No matter the size or style of your home, Ressel Inc. wants to be your partner in bringing it to life. Let us handle every stage of development, so you can live comfortably in your dream home.